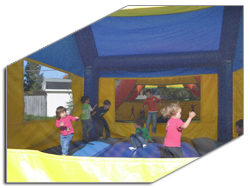 Bouncy Fun Land is our kids' number one request for both birthday parties and indoor fun during the long winter. Parties there have always been a huge hit for our kids and their friends (preschoolers and school-aged kids too). The location is clean and safe, and they have plenty of bouncers so it never feels too crowded. We've celebrated three birthdays there already, and the kids still want more!" "Yes, everything went great!! Cassandra was really great with the kids and helped out a lot. Ella was pretty shy at first but we did manage to get some pictures by the end. Thanks again :)"
Bouncy Fun Land Bachelorette Party! I organized a bachelorette party for my friend in October. She had mentioned that she would love to try a mechanical bull so after some asking around we found out about Bouncy Fun Land. It was a wonderful experience. Amy and Darryl were so helpful all along the way and let us come in early to set up. The music playlist was phenomenal and they accommodated all our requests and helped us set up. We have never laughed so hard or had so much fun. Imagine a bunch of grown women on bouncy castles and a mechanical bull and you get the picture! I would definitely recommend this spot for any of your parties, for kids or for adults. Our family and friends enjoyed your facility . The adults loved the couches . Play area's for the toddlers were in a great location. I loved the bouncy tent area , clean and bright. This was a more relaxed setting for a birthday party . The adults also loved being able to go on bouncy tents with our kids. "A friend and I decided to co-host a joint birthday party for our three-year-olds and wanted to extend an invitation to their entire daycare class, nearly 20 toddlers. We settled on Fun Land and we’re so glad we did. The kids had a ball bouncing and playing. We, their parents, didn’t have to worry about games, decorating or entertainment. No muss, no fuss. Just fun. I’d wholeheartedly recommend Fun Land for birthday parties." The birthday party was terrific.I love the fact that you have a room for the party itself with the tables and decorations already done. It is nice to have it separate from the bouncy castles themselves. It was a blast for the kids but also a relaxed time for the parents because everything was taken care of. Your staff even enjoyed playing with the kids! I would definitely recommend other people to use Bouncy Land for a Birthday party. Having it in the morning was also a good idea because no other people arrived to use the facility until we were nearly done. Thanks so much Amie! The kids had a blast at the party, we will definitely be back to bounce! Facility - I love the addition of all of the matts. They look so good. I love the layout and spacing of the bouncy castles. This made it easy to socialize and for the kids that didn't want to bounce to have fun. This also made a great place for parents to socialize. The party room is absolutely adorable. I received many comments on the great decorating. I love that your child's name gets put on the wall, it's so cool. The toddler area is fantastic. The kids love it. The random balls floating around is great too. The facility was clean and bright. The bathroom is cute and welcoming. I love the little extras you can buy (coffee, popcorn, drinks, etc). I love love love the music. All amazing services and quality at a great price. Team: I absolutely adorable all of the people who we have been in contact with on all of our experiences with your company. Super nice, welcoming and just people that you like being around. I love the family feel to the business. I ALWAYS recommend Funland to others. I share about it on FB whenever I am going, I talk about it at parties that I do and at playgroups. I think the prices are a little low and you could definitely raise them. I miss the balls that were in the last bouncy castle. Thank you KJ for the kind words. We love to change it up every once in a while. We will put the balls back in soon! I just want to say thank you again for accommodating mathews party. And to your kids. The boys are asking already to go back soon they loved how your son and daughter played with them on the bouncy castles. My child had a BLAST this year at the Napan Fair! I was not fond of the midway rides we used before. Would like to ad more items for next year just to keep kids attention. I heard a few people saying they liked paying the price for the day. I also liked that RNB sounds had carpets under the inflatables. It may have been to crowded if there were a lot of people there at one time. Recommend next year to spread it out more. It seemed like the kids enjoyed it while they were there. Thank you for your services. The kids loved spot! RNB Sounds were reliable, clean before and after our event. Popcorn and bubble machine were great! The kids enjoyed the large area in spot to play, climb and run in. Personally, I liked it and I liked the price for the day. One of my children liked it and my older child was not thrilled with it. He found it more for little kids. Thank you for being so pleasant to work with and independent. Always happy with the services you provide. We loved the dunk tank and we will profit better next year. We will have it earlier next year to get it filled faster. We like the services and equipment because it is safe, reliable and clean. All kids and adults love it. Look forward to the new items next year like the mechanical bull/surf board and the walking water balls. That keeps it fresh. We will rope off the entire section for you next year! Thanks again for a great weekend!! The bouncy's were a big hit with our boys! They loved it. We were happy with the dunk tank services we received. I liked that the dunk tank was supervised. It made it easier on the committee. They were on time and clean area after they left. It was hard to make connections to make reschedule of event after Arthur due to power outages and down phone lines. You guys were great at interacting with the people and it helped us keep things moving along with the dunk tank. They were a little late due to a mechanical failure with the truck and it was out of their control. They did call to inform us they would be late and it all worked out in the end. The dunk tank worked well and the services were impressive. 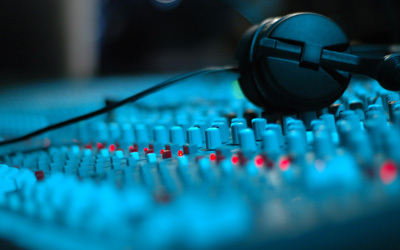 We were very happy with RNB Sounds services. Thank you for everything you did on the day of our event. Hopefully, we will be contact again next year for our Jump start Day! R-N-B Sounds is a class act. They became part of the planning process, and offered suggestions to make the sound quality of the wedding better. They listen to your needs and carry out your wishes. Plus you get to interact with two great people! We would hire them again without thinking twice. Our Wedding was perfect! 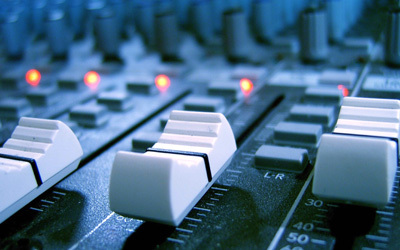 We were very happy and satisfied with the services we received from R-N-B Sounds. 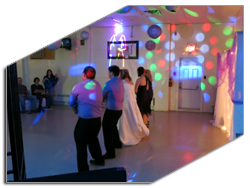 We especially liked the personalized touch they did for our wedding dance using their animation laser light. Darryl and Amie were all set up the night before and early for the reception the next day. They even helped us when we needed it. The experience was great! Perfect Night. It was a pleasure to work with R-N-B sounds. We used them for a year end school fundraising event. We had negotiated the use of 1 castle, just before the event they offered a second castle free of charge. They also offered us the use of their popcorn machine at no additional cost. They were dependable and responsive when making the arrangements. We would happily use R-N-B sounds for another fundraising event. As co-organizer of a new music festival, I'm partly responsible for booking and organizing tents, events, parking, camping, and music on a 26 acre field. RNB stepped up early in the game to help us provide a great setup of bouncy castles, at no risk. RNB allowed us to offer a 'family-fun' area. It was easy to agree on their placement, prices to customers, and there were no issues all weekend. Once they were set up and running, we heard nothing but great comments. No problems, no surprises- those are the business' we like to deal with. They understand that they are representing our festival, as well as their own business. Thanks for making us look good RNB! This past fall our organization decided to plan an event for Family Week – it was last minute and we had a limited budget. 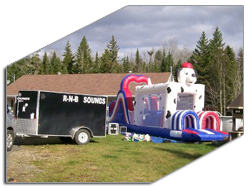 I contacted R-N-B Sounds and Amie was more than willing to work with us within our little budget to provide music, inflatables and popcorn! 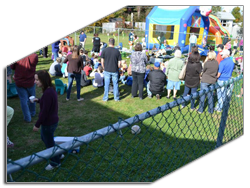 It was a great event attend by over 175 people on a beautiful sunny day in October! Being a non-profit we typically try and do everything ourselves it was nice to not have to worry about anything – Amie and her staff took care of everything and we had a chance to talk and connect with our families. One of the most enjoyable stress free events that we have ever had! RNB Sounds had great service and music! Friendly, flexible and fun staff! 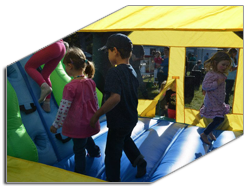 Bouncy castles were fun for all ages! Thank you so much for helping make our event so successful. RNB Sounds service was friendly and easy going. They made my 2 year old son's birthday party the best party ever! Even though he cried when they took spot the obstacle bouncy away. My mother and sister even tried out the big dog. They loved it. I thank them so much for everything. I will get them again and again. RNB Sounds is doing my 40th birthday party too. We were very pleased with the djs, they are very well mannered, dressed professionally for the occasion and made helpful suggestions. RNB Sounds were very punctual. They set up the night before and there again before everyone else the day of. They did everything their services offered and more. Including being fun and social with our wedding guests, taking song requests all night and helping to move all our chairs from the ceremony to the reception space. They are very thoughtful and kind hearted family who take great pride in making your special day as perfect as if it were their own. We would definitely recommend them for any occasion. RNB Sounds did a wonderful job with their services for my wedding. They knew how to keep the guests on their toes! They also played exactly what we wanted. It was very cool to see our names in lights on the wall. They are very sweet people. 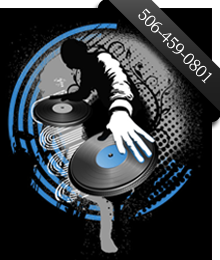 I would definitely recommend them to anyone who is looking for a great DJ. We had a great time! You guys played great Music! You were able to accommodate everyone's taste! Thank you again!!! 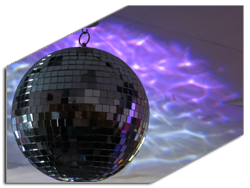 RNB Sounds played for our staff appreciation party. Very professional-from set up to tear down! Played well to the crowd and would rehire in a second! Many thanks for a great night! "I had booked Amie and Darryl for my wedding 10 years ago and then hired them again for my mom's 60th birthday party. 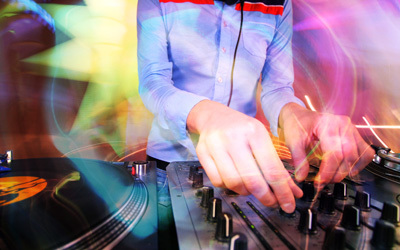 They are amazing DJ's. They asked what songs you would like played, any requests were granted with a wide variety of music for the young and the old. They come well in advance to set up, so nothing is delayed. Everyone enjoyed their time at both parties and this was thanks to the amazing job they did. They make the party your own, for example, for my mom's 60th birthday party, they had Happy 60th Birthday Doreen" moving on the wall with their animation laser light. This is something new they can do with lights and it was very well done. They also asked what were some of her favorite songs and they were played throughout the night. They are both very professional and very flexible. I would definatly book them again for an event for a third time." We were extreamly happy with hiring R-N-B Sounds for our wedding. They were very professional, showed up early and were already before our reception. Our younger children loved the animation light show extreamly. I have no doubt that the next function I have, I will be contacting them again. Great Job! RNB Sounds DONATED their services for our silent auction and dance fundraiser. They were early, professional, had a hugh music selection and played what we wanted to hear without even having to ask. The sound was perfect and the lights were awesome! 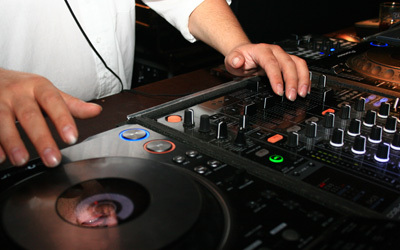 I would definatly recommend RNB sounds for any function you are holding that requires music!!! John & Michelle Cleveland Wedding March 10, 2012. I have all good praise for Darryl's business! His price is awesome, he listens to what you want and actually makes it happen, very friendly and eager to please! I got very busy with all the wedding stuff and kind of forgot about the DJ and all of a sudden I got an email from Darryl reminding me that time was getting short and when it was good for me if I could let him know what music I wanted. I was some glad someone was paying attention! He had us play a little game which was quite amusing as well!Over all I am extreamely satisfied and would recomend Darryl to everyone! These guys were awesome! by far the best price around as well! I never got a chance to meet them until the evening they set up before my wedding even then I don't think I got a chance to say " hello" for months we emailed back and forth they answered all my 2,000 questions always in a super fast and timely manner! They were great to work around us, gave us a sweet price that still has my jaw on the floor, their set up was awesome they were great guys and they listened to all questions and requests, took lists I sent them I was very pleased with this company and would highly suggest anyone to book with them if they can! if you have more questions or would like to know anything email them they will impress you as well ;) *my husband was all for singing and they even let him take their mic and make a fool out of himself ... what a blast. I Clara Elliott, was more than happy with R-N-B Sounds. They were professional, on time and the music was non stop. I love them. Thank you for everything.....your sound is #1. Amie and Darryl take great pleaseure in being DJ's. They blend right in with the "feel" of the crowd and keep the party going. They are extreamly professional, efficient, kind and accomodating. They were prepared well in advance of the 50th Birthday Party. They also stayed much later than anticipated because everyone was having so much fun. They had fun too because they take pleasure out of making everyone happy. We loved the lights, your calmness and the pleasure you have in your job. Great Music!! I would and have recommended to others. We were completely satisfied with the preformance. It was what we had hoped for. Darryl and Amie were very professional and organized. They met with us prior to my wedding and took our request song list. They played the music we requested and other popular songs. Everyone was pleased with the music and lots of people danced all night long. We loved that they played until 3am! Thank you from Grand Falls. R-N-B Sounds were more than professional. Everything we asked for was taken care of. We all had a wicked time. If we ever need a DJ in the future I will call you for sure. We can't say enough about the wonderful time the kids had in Minto during the March Break Extravaganza! When we walked in it was just like entering a carnival. 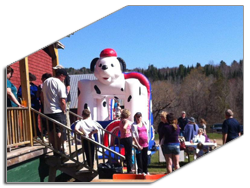 The bouncy castles were so much fun, the spin wheel had amazing prizes, door prizes were very cool and the games and piñata were a huge hit. An amazing time for only $5 a day!!!! Thanks for coming to Minto!!! What an awesome event during march break.. my kids had a blast. . Not only did they have a great time, lots of prizes and for $5.. how can u go wrong.. on top of that tho, the staff were great!! My little guy couldn't climb up one part of a bouncer and a worker actually went in and stayed in to continue to help him :) u guys rock!! !